Fili&Lino Crafting Haven: Random Rambling Sunday: Say cheese! Wow, it's already Sunday and that means it's my turn to ramble here. Before, I planned to write about my work around this week that was surprisingly dominated by sling bag. Four sling bags, which are pretty different with each other. Unfortunately, I couldn't take any pictures today because of the heavy rain. I couldn't get the natural light so I'll save the topic for another time. 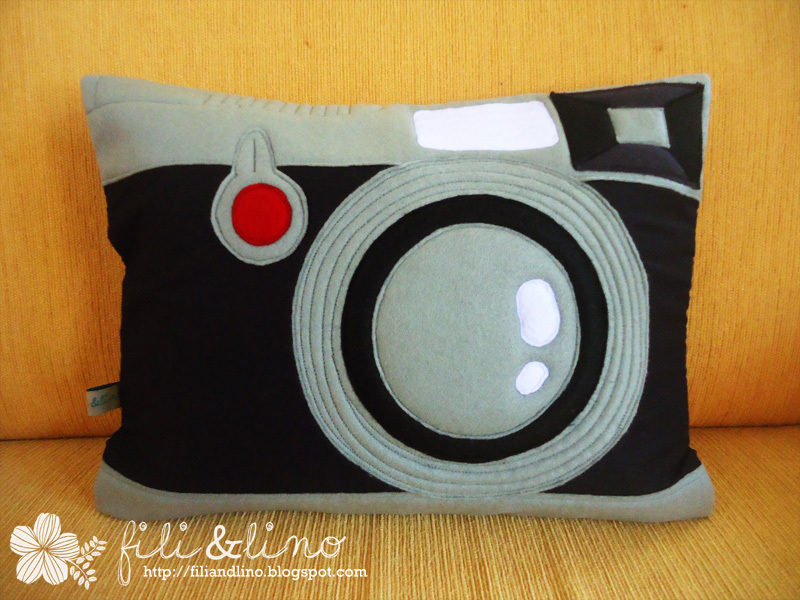 Instead, I'll talk about custom made cushion that was ordered by one of our customers. Lino asked me whether I could make a camera shaped cushion for a birthday present. 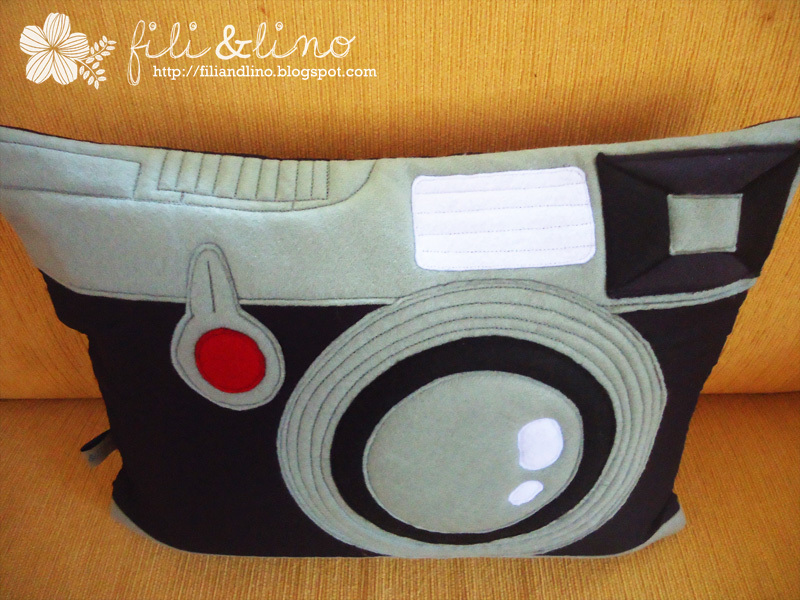 Making camera cushion has been one of my wish list along with cassette tape and dolphin cushion. I always droll automatically whenever I see those shapes in Etsy: fresh, well-made and often unexpected. I was curious to make one and see the result. I took the chance and searched for different camera types for reference. After I sent some design of the camera, the customer picks the classic one. The size is 41x31 cm with a simplified design from the real one. The material is fabric for the main body and felt for the details. Again, I hope the person who received this will be happy and like it.